Montgomery County’s community-based institutions deliver critical mission-driven programs and services to local residents, from providing affordable housing for the homeless, educating our youth in public charter schools, or ministering to the community in houses of worship. These institutions are the fabric of our county, but they regularly strain their budgets to advance a public mission of service. Choosing to install new energy saving technology like more efficient lighting or boilers, or upgrading to renewable energy with solar panels can stretch limited resources further to advance these good works. Yet too often, the choice can come down to a trade-off between using scarce capital to either upgrade their buildings or carry out their mission. Montgomery County’s newly established Commercial Property Assessed Clean Energy Financing Program, or C-PACE, is available to assist commercial property owners – including nonprofit institutions – to install building upgrades that will lower operating costs by increasing energy efficiency. C-PACE funding provides owners with 100% upfront financing for energy and water upgrades. It is secured by the qualified property and repaid through the property tax bill over the life of the upgrade, potentially up to 20 years. Non-profit properties can access C-PACE financing even though they do not pay property taxes. With 100% financing at long-terms and low interest rates, C-PACE encourages improvements that can yield positive cash flows and reduce operating expenses starting on day one after project completion. Urban Ingenuity, a Bethesda-based firm, is the Montgomery County C-PACE program’s designated partner to provide technical support and financial structuring services for C-PACE projects in non-profit and community-based facilities like public and affordable housing, faith based organizations, health care facilities, charter schools and higher education, and many other non-profit civic organizations. We call this special form of C-PACE “CivicPACE”. Urban Ingenuity has extensive experience in supporting CivicPACE projects in everything from simple boiler replacements, to PACE-secured solar power purchase agreements (PPAs), to deep energy retrofit projects. Last fall, we structured C-PACE financing to add solar and highly efficiency energy and water systems for the Phyllis Wheatley YWCA, a community institution in Washington D.C. that has provided critical housing and supportive services to women for over 100 years. C-PACE financed renovations will reduce energy use across the complex by 24% and lower water use 47% to create nearly $7,000 in reduced annual utility costs. Savings from the C-PACE investment will pay for new equipment, generate net operating income, and lower rents for a majority of the residents. 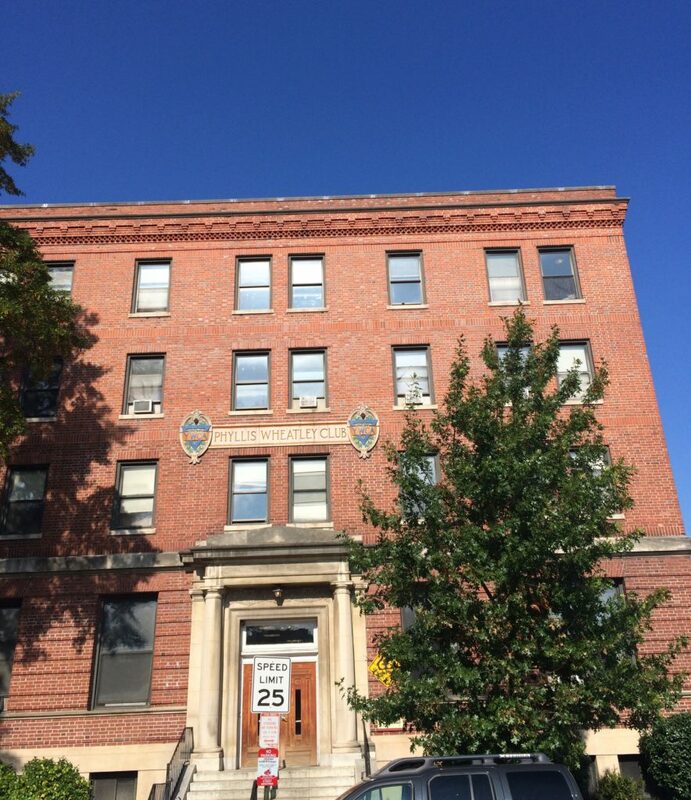 The Phyllis Wheatley YWCA property in Washington, DC is using PACE to upgrade its facility. Urban Ingenuity is also currently closing a tax-exempt C-PACE note for a community-based organization in Anacostia at less than 4% for 20-year debt, representing the first tax-exempt C-PACE financing in the region, and demonstrating a new potential opportunity for C-PACE investment in non-profits. Also serving as the Program Administrator for Washington D.C.’s C-PACE financing program, Urban Ingenuity is committed to supporting the nonprofit sector across the DMV region. For more information on CivicPACE and Lender Education in Montgomery County and Urban Ingenuity, please contact Jackie Weidman at jweidman@urbaningenuity.com.